An assignment that we were given for a ‘Religion’ class in primary school involved us writing prayers. I remember writing a few prayers: one addressed to God, one to Jesus, one to the Holy Spirit, one to Mary, and possibly another one to a Saint (or ‘the Saints’). And I think it was my mum that corrected me in saying that I could address all the prayers I had for God (the Father), Jesus (the Son) and the Holy Spirit, to the one God. That was the first time I was introduced to the Doctrine of the Trinity, and looking back, I am fairly impressed! Although my mum did also introduce me to some silly superstitions such as that my soul would leave my body if I hadn’t had my dinner. I believed that was true until I was about 10. I was cast for the role of Jesus, after he was found by Mary and Joseph teaching at the temple, for one Christmas pageant. I think it was because I had a knack for remembering lines, even though I only had three for this role. My mum had taught me to recite a lot of poetry verbatim, none of which I remember now, even a verse. Sadly, I had to give the role a pass after a fall on the rocky Filipino roads and caused me to projectile vomit and crack my skull. When I was at the hospital, my mum made sure that my memory was still intact by getting me to recite those poems that I had once remembered. And soon after leaving the hospital, she dedicated me to St Vincent Ferrer because I was accident-prone. I would, later in life, adopt that name for my Catholic Confirmation. After emigrating from the Philippines to Australia, I remember keeping most in-touch with one friend. He was the first to introduce me to the word ‘Christian’ which he meant to be different to ‘Catholic’. My parents and siblings thought otherwise, but it still had me thinking for quite a while. In Australia, I had attended two Catholic schools for my primary education. Apart from the fights I’d gotten into, they were mostly decent experiences. Everyone seemed fairly impressed by my American accent (except for my ESL teachers that had to train me in Bogan. It wasn’t a complete success). And I enjoyed countless afternoons watching ABC TV, such as Alex Mack, Daria, and, most importantly, Captain Planet. I guess you could say I was a devout little kid, doing well in my ‘Religion’ classes and eventually completing all the Holy Sacraments required for my age, despite spilling the wine on myself during Communion rehearsals. Even at one stage, when I was very young, I aspired to become a Catholic Priest. Later on, I also wanted to be a Power Ranger. 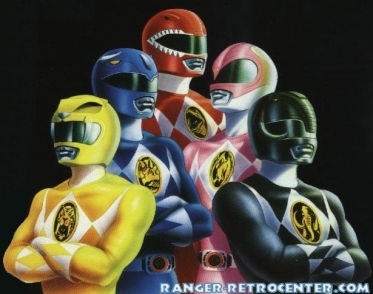 Although, when my brother and I played our pretend duels, I would always cast as the nerdy Blue Ranger, Billy. This was probably what inspired me to nag my parents into have me take up Tae Kwon Do lessons (It was the only time I remember explicitly manipulating my position as the ‘youngest kid’). I soon found that I was terribly gentle for martial arts, but I had at least made some Muslim friends. I distinctly remember, in my ignorance, making conversation with my new friends about Jesus and Mary. Despite a talking to from my siblings later on, it was a very civil conversation. I found out that Muslims don’t believe that Mary was a virgin and they also don’t believe that Jesus died and rose again. My life as a Catholic kid growing up wasn’t too bad. I was exposed to a sufficient amount of Bible that would become invaluable later in life (I still remember that I had a big Bible with grand illustrations of stories about Samson, David and Daniel, which were particularly epic). And having lived in the Philippines meant that religion became, for me, a series of festivals that I would forego many nights of watching cartoons (Dragon Ball Z and Sailor Moon) for. Next week I will speak of when I met Jesus face-to-face (figuratively speaking). Posted on November 6, 2010, in Testimony, Vocation and tagged ABC TV, accents, immigration, injuries & illnesses, Islam, Jesus Christ, Priest, resurrection, Roman Catholic, Sacraments, Saints, silly superstitions, Trinity, virgin birth. Bookmark the permalink. Leave a comment.